Spliff Cheese Automatic produces medium indoor yields of 250g/m² in 10-11 weeks from seed. It’s a crossing of Spliff Cheese and Dutch Automatic, offering a happy up high mixed with an intense body stone. This strain is slightly indica dominant, with 60%, but also displays typical Sativa characteristics in its growth. Aromas are remarkably fruity, pungent, and resemble distinctive UK Cheese. Spliff Cheese Automatic is a direct offspring of the Spliff Seeds’ feminized version of this strain, a hybrid of Skunk No.1 and Afghani x Skunk No.1. These genetics were hybridized with Dutch Automatic, a strain that Spliff Seeds commonly uses to introduce the autoflowering trait to feminized strains. Cheese was originally bred and grown in the UK, and was previously only available as a clone created by the Exodus collective. Its genetics are based on a very smelly phenotype of Skunk No.1, which is responsible for the outstanding aroma. Spliff Cheese Automatic produces indoor yields of up to 250g/m² in 10-11 weeks from seed. Although it's indicia dominant, one still finds typical Sativa traits, visible in the leaves for instance. This strain stays relatively short with indoor heights of 70-90cm, and produces one main cola with compact additional side buds. 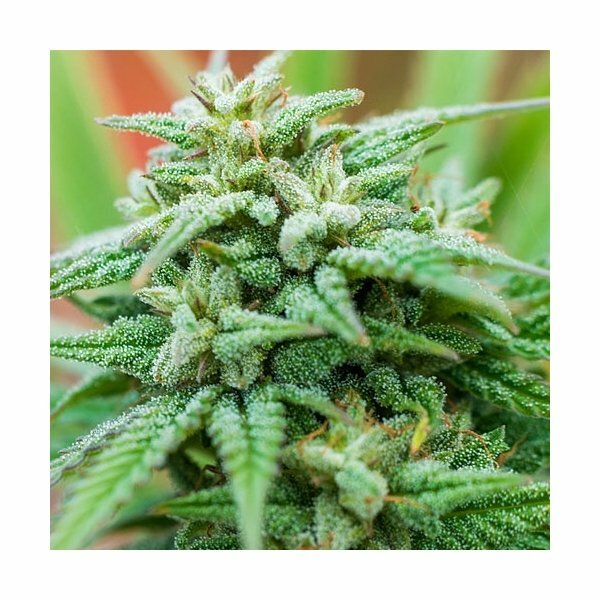 The overall bud density is remarkably high, making good humidity control necessary to avoid mould in late flowering or during the drying and curing process. Aromas and effects of Spliff Cheese Automatic are definitely key selling points of this strain. It’s the unmistakable, pungent Cheese aroma smokers can expect, mixed with an earthy Afghani background, and a very fruity, skunky taste with hints of berries - all in all a very aromatic smoke. The effects can be described as a pleasant blend between a happy up-high and a comfortable body buzz. Cheese is, in general, a very good choice to promote deep relaxation on a body level without compromising on uplifting Sativa elements. Spliff Seeds created an excellent hybrid that appeals to a large group of cannabis users and growers. It might not be a strain that delivers extreme yields, but it has plenty of features that can help to outweigh this factor. 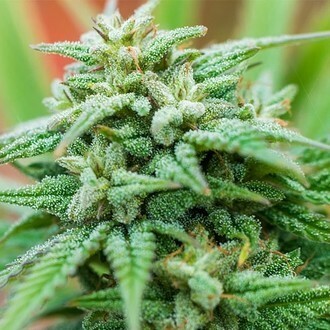 The most solid argument for growing this strain is its amazing and complex aroma profile, and when its effects are experienced for the first time, all doubts about Spliff Cheese Automatic will instantly go up in smoke.